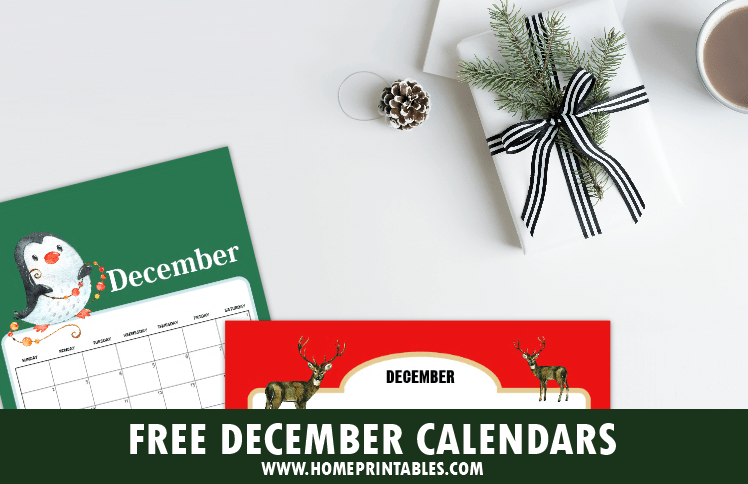 12 FREE December 2018 Calendars and Planners in Christmas Theme! Christmastime is here! Are you looking at organizing your schedule ahead? 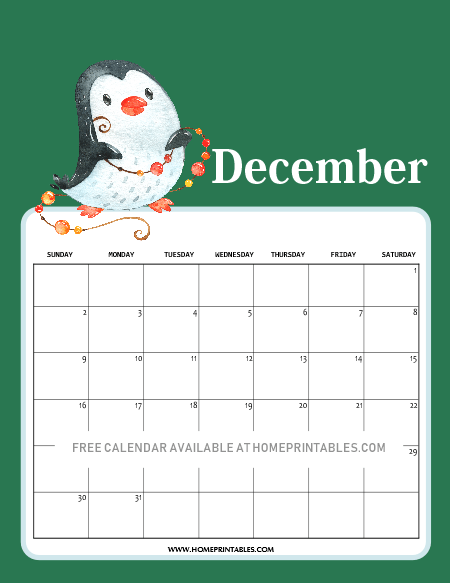 Here are cheerful December 2018 calendar printables in Christmas theme! You have 12 designs to choose from and they’re all for free download. Snag the calendars today and start planning a merry, bright and meaningful Christmas celebration! Let’s start this quick calendar preview with the calendars in landscape format that we’ve created for you. A shout out to Design Cuts and Creative Market for the graphic elements we used in creating these calendars. They’re darling, we must say. Look! Let us start this quick calendar preview tour with this ultra cheerful design adorned with cute Christmas presents. Won’t calendaring all the festivities of the season be fun with this one? Be sure this print this out from the set! Kids and adults alike will love this for sure! 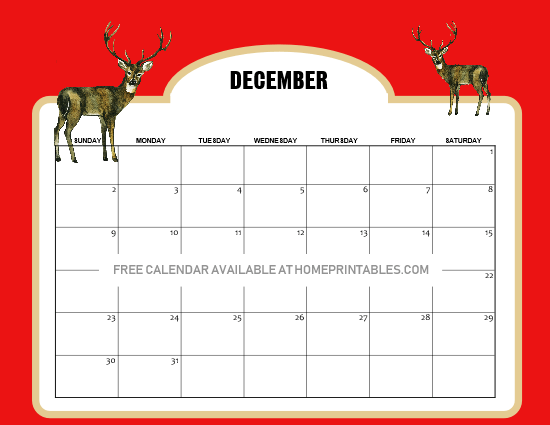 The next calendar that we have for you come in striking red background with two charming deer to adorn the page. I love how the design spells out the warmth of the season. We would love to have this in our kitchen as our family’s activity planner. How about you? Where will you be using this pretty planner? Looking for an ultimate Christmas themed calendar? This one is for you! 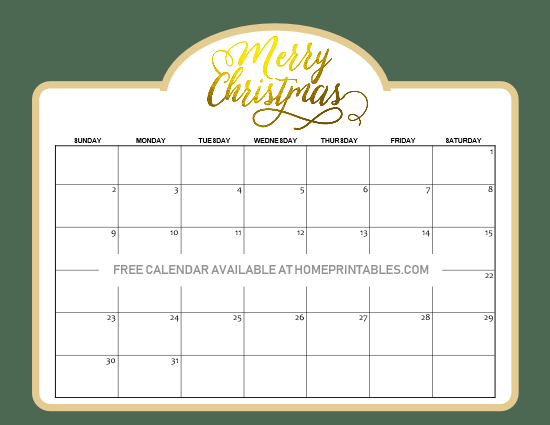 This simple yet elegant calendar will greet you a “Merry Christmas” each time you use it. There’s no better way to start the day than knowing that the most awaited season of the year is nearing , isn’t it? Make the entire month more meaningful by plotting out schedules to visit your loved ones or to bless others in need- the true spirit of Christmas! 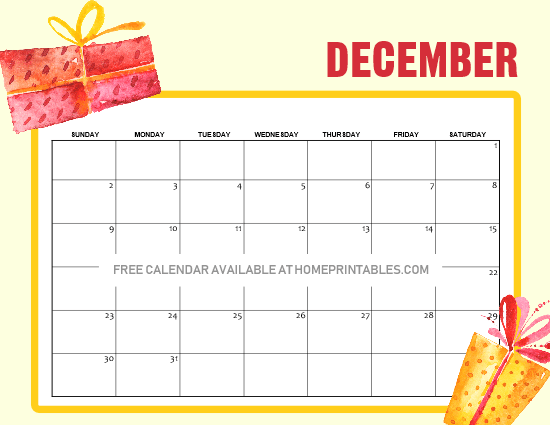 There are more horizontal free December 2018 calendar printables in your download. Meanwhile, let me show you the next set– the vertical calendars! Who here likes her calendar to be in this format? Keep scrolling the view the designs we have for you! Want to stay inspired monthlong? 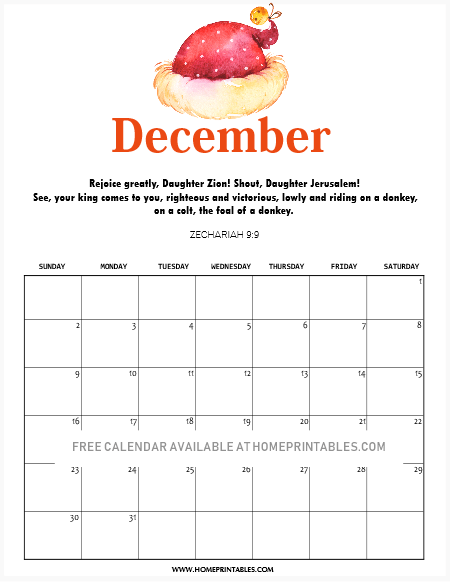 Print out this beautiful December calendar with a truly meaningful verse from Zechariah 9:9 that says, “Rejoice greatly, Daughter Zion! Shout, Daughter Jerusalem! See, your king comes to you, righteous and victorious, lowly and riding on a donkey, on a colt, the foal of a donkey.” Be reminded every day that Jesus our savior is coming! Next up is a cute calendar that again comes with the symbolical Christmas present. 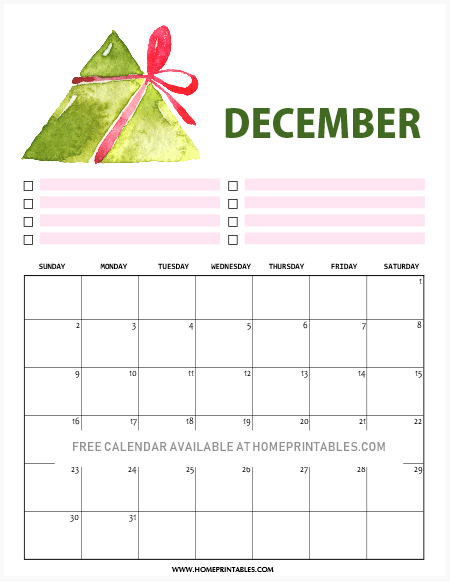 Perhaps you can use this to plan out your gift shopping and gift giving schedule? Well, it’s up to you. You can use this calendar however you wish! We know, December is going to be a busy month for you so we added an area for your notes and reminders! 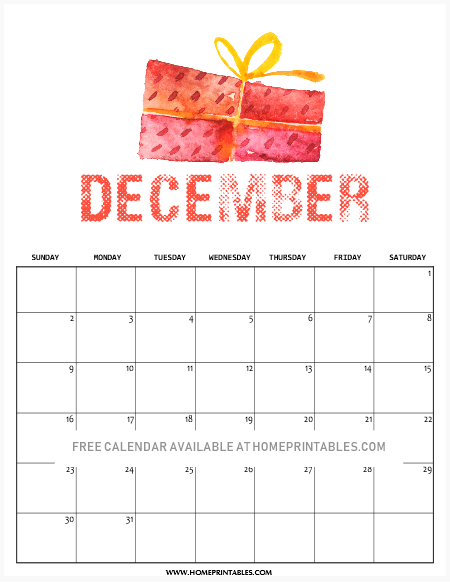 Snag this calendar for a more organized December! Christmas Themed Calendar with Penguin! The last calendar that we have here for you comes really cute! Look at that cheerful penguin adorned with Christmas lights. Simply darling! Are you going to print this out, too? We hope so! Discover the rest of the calendar designs in your download! Simply GO HERE to receive the vertical calendars. Should you also like to use the horizontal calendars, GO HERE and join our 35,000 newsletter subscribers! We will send the calendars straight to your inbox right away plus freebie updates so you’ll not miss any freebie from us again! You can unsubscribe anytime. PASS THIS FREEBIE FORWARD BY PINNING THIS POST AT PINTEREST! THANK YOU! Wait, there’s more! We have tons of organizers to get you all set for 2019. Would you like to see them too? The 2019 Happy Life Planner: 40+ Free Printables! Thanks for dropping by. Have a Merry Christmas!